Srinivas Kuchibhotla was shot dead while his colleague, also Indian, sustained bullet injuries after an American navy veteran opened fire in a crowded suburban bar in Olathe city in February last year. Washington, United States: Sunayana Dumala, the wife of an Indian engineer who was shot dead in a hate crime shooting in the US last year, on Wednesday attended President Donald Trump's first State of the Union Address. 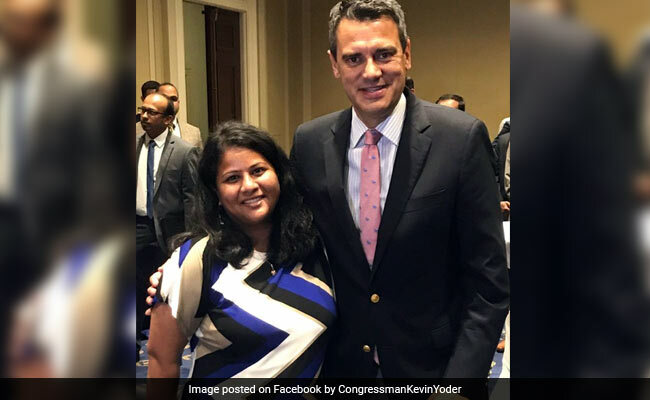 Sunayana, 32, was invited as a guest by Congressman Kevin Yoder to attend the event. Mr Yoder said that he had asked Sunayana to be his guest as a recognition for her tireless efforts to promote peace, and as a message to the Indian community that the US is a nation of immigrants and they are welcome here. "Each year, I have the privilege of inviting one guest to attend the president's State of the Union address. This year, I invited Sunayana Dumala, widow of Srinivas Kuchibhotla, the Indian immigrant who was tragically killed in the hate crime shooting last year at in Olathe," Mr Yoder had said. 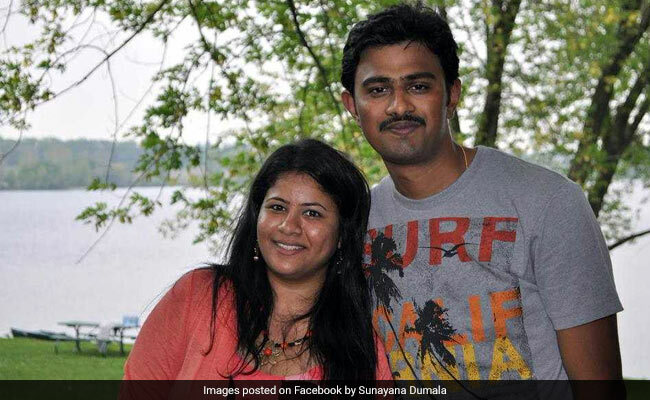 Her husband Srinivas Kuchibhotla, a software engineer from Hyderabad, was shot dead while his colleague, Alok Madasani, also Indian, sustained bullet injuries after an American navy veteran opened fire in a crowded suburban bar in Olathe city, Kansas in February last year. Ian Grillot, another man who tried to intervene was also injured. The shooter, thought they were Middle Easterners and was heard telling them to "get out of my country". Sunayana met a number of Congressional leaders including House Speaker Paul Ryan before the address. Paul Ryan acknowledged Sunayana and said he remembers her and is aware of her story. The Indian-American community welcomed the move. Brijpal Singh, the chairman of the India Association of Kansas City, said this step will not only assure the Indian community but also send a strong message about the unstinted support from the elected representatives and administration towards the Indian community. "This further strengthens our belief and confidence in the American system and its Constitution where everyone is respected, loved and is welcome," Mr Singh said in a letter to Mr Yoder. The State of the Union Address is a traditional annual speech of the US president to a joint session of the Congress where he gives an account of the situation in the country. Several Democratic lawmakers have said they will not attend the address in protest against Mr Trump reportedly calling some African nations "shithole" countries, a remark that the US President has denied saying.